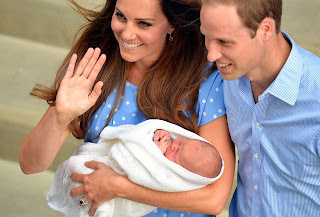 The lovely Prince George Alexander Louis has arrived and it's rumored that Kate is breastfeeding. We thought we would share a few of our FAVORITE websites with helpful and informative breastfeeding information. Kelly Mom--a GREAT resource with research to support the articles! LaLecheLeague--find a group in your area! Mother's Boutique--Judy is the BEST at the online bra fitting. Seriously! I have four bras from her! A great book by Dr. Sears, Breastfeeding Book.